Dayahang was born on April 13, 1980 in a remote village in Bhojpur district in Eastern Nepal. Dayahang has two younger sisters and an elder brother Bidur Lamichhane Rai. Dayahang Rai was born on April 13, 1980 in a remote village in Bhojpur district in Eastern Nepal. Dayahang has two younger sisters and an elder brother Bidur Lamichhane Rai. Dayahang Rai (दयाहाङ राइ) is a Nepalese actor, director, and play writer. He is currently regarded as one of the most popular actors in Nepal. He has received three National Awards for Best Supporting Actor in 2009 for Dasdhunga, Best Actor in 2014 for Sambodhan,and Best Actor in 2015 for Kabaddi Kabaddi. 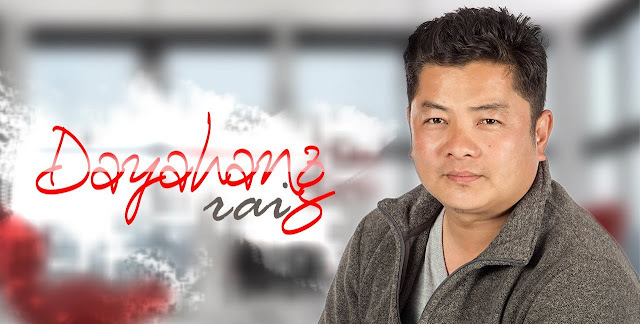 Dayahang Rai rose to prominence from the television series Yuva, Dalan and Hamro Team. His first leading role in a film was in Anagarik (2006). He found success in the films Dasdhunga (2009), Loot (2012), Chhadke (2013), Badhshala (2013), Karkash (2013), Jholey (2014), Kabaddi (2013) and its sequel Kabaddi Kabaddi (2015), Talakjung vs Tulke (2014), and Sambodhan (2014). He has collaborated in four films with director and friend Ram Babu Gurung. Before earning name and fame in the film industry, Dayahang Rai had struggled a lot in the theater and Television series like ‘Yuwa’, ‘Dalan’ and ‘Hamro Team’. Born in a middle-class family, Rai always had a keen interest in films, play, and playwriting since his childhood. Let’s see some of his real life facts which somehow covers how he stepped in the acting world before becoming a star as of now.